Panelists at Health 2.0 in Santa Clara, California talk about the world wide innovation culture and why its important to look toward emerging markets for new health technologies. Healthcare innovation is sprouting up all over the globe. From Israel to China, investment dollars are pouring into digital health — in fact, many emerging markets are now leading the way in healthcare technology. 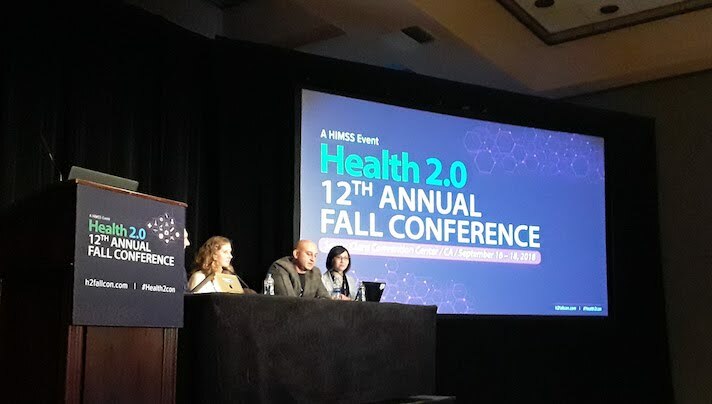 “Innovation happens at the edges and all around us,” Eugene Borukovich, global head of digital health incubation and innovation at Bayer, said at the Health 2.0 Conference in Santa Clara California on Monday. Those innovations and ideas are also being shared with a global market. “I think this is an extraordinary moment of globalization, how we are building in different regions and then hopefully seeing how [the technology] can be deployed in different ways,” Pascal Lardier, vice president of content and thought leadership at HIMSS, said. The shift towards innovation is also a cultural change. In recent years, Borukovich said that in Europe the culture has shifted from skeptical to supportive of startups. But the innovations also differs and morphs based on needs, national health system, and stigmas. For example, the UK’s National Healthy System is a single-payer system that ensures healthcare for every UK citizen and legal resident. But systems like the NHS vary drastically from what is set up in Ukraine, where there is no national health system and many residents don’t have private insurance, meaning many pay cash for services, according to Borukovich. However, that hasn’t necessarily stopped innovation there. Borukovich cited a remote monitoring solutions invented by a local company that has become popular in private Ukrainian hospitals. “Those models tend to evolve very much to address the gaps in local markets and evolve in different ways,” Mrazek pointed out. Moreover, while the world at large faces an aging population, Japan in particular has seen the impact of this with 27 percent of its population over the age of 65. Due to this fact, it can be difficult for doctors to physically see every patient. But this could lead to innovators creating more home care technologies. Overall, panelists agreed that markets outside of the typical Silicon Valley “bubble” are also seeing enormous growth. For example, in 2015 China had around $40 million worth of investments in digital health. That number is expected to reach $1 billion this upcoming year, according to Unity Stoakes, president and cofounder of Startup Health. Stokes went on to say that while 80 percent of Startup Health's current portfolio is made up of US companies, he anticipates that changing. “We expect in the future a lot more of our portfolio to coming from places like China and India, throughout Africa, and really all over the world,” Stoakes said.